Billy L. Sharp was born June 26, 1933 in Sand Springs, Oklahoma. He became interested in Martial Arts at an early age after buying a Judo book that he saw advertised in a magazine. He decided then that he wanted to learn Martial Arts. After graduating high school in 1952 he joined the United States Air Force. He was stationed at Carswell AFB after basic training and technical school. While at Carswell AFB he had the opportunity to begin training in Judo, and trained with the Air Force club until being assigned overseas. The Air Force instructors had just returned from the Kodokan where they had received instruction in Judo, Jujitsu, Aikido and Karate. Their job was to teach the Air Force bomber crews self defense. Finding no Judo at his new station in Newfoundland, Sharp trained when and where he could. 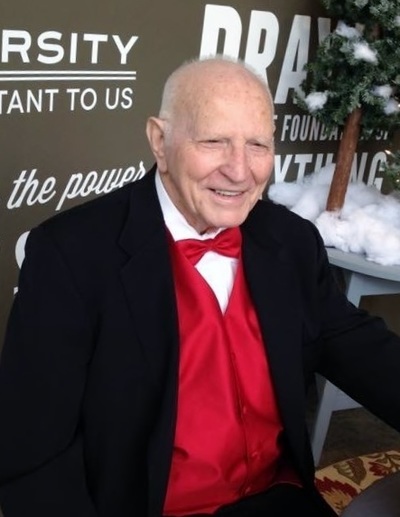 After an honorable discharge from the Air Force in 1956, Sharp returned to his home in Oklahoma and continued his training in Judo and self-defense with his brother Jerry and a close friend Tom Lewallen. Lewallen had studied Judo while in the Navy. Sharp, along with his brother and Lewallen, joined the Tulsa YMCA and trained with the Judo class there. He competed in a lot of Judo tournaments in Oklahoma and Texas in the late 50's, and in the early 60's he won several overall championships. Sharp joined a Goju Ryu Karate class for three months while training at the YMCA, but after receiving his yellow belt he knew that this was not his true calling. While at the YMCA he instructed Judo classes and he also taught local Explorer Scouts. He also taught self-defense classes to several women's groups through the Tulsa Park System. 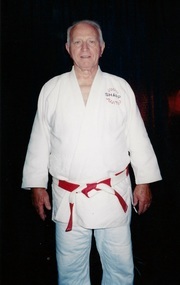 In 1965 Sharp received his Shodan in Judo from the United States Judo Federation. 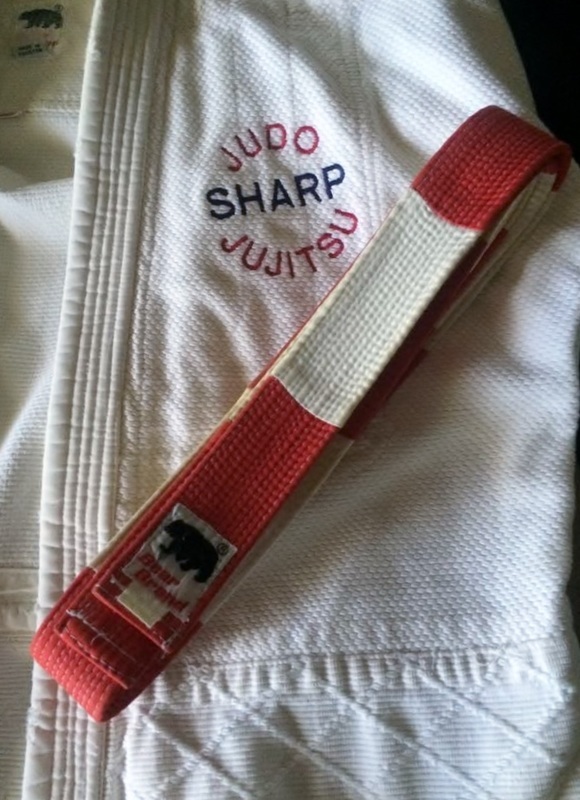 In 1966 Sharp started Judo of Tulsa where he offered instruction in Sport Judo and Jujitsu. Judo of Tulsa produced several State Champions during its years of operation. He was one of the officers elected at the beginning of the Oklahoma Judo Federation, serving as the treasurer of the Federation. Sharp was elected as the third President of the OJF, and also served as an Oklahoma AAU Judo Chairman. In 1969 he attended the National AAU meeting in Miami Beach, Florida as Oklahoma AAU Judo Chairman. 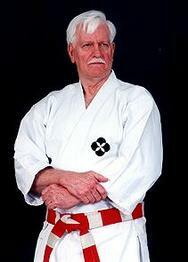 He received his Nidan in Judo in 1970 through the United States Judo Association. In 1972 Sharp received a better job offer, closed Judo of Tulsa and moved his family to Oklahoma City, Oklahoma. He found many Martial Arts schools, and taught Judo at several of them. While teaching Judo at a local Kung Fu school, Sharp joined their Aikido class. He joined another Aikido school in 1986 and taught their Judo class for over a year while continuing his training in Tomeki Aikido. During that time he received his Shodan and Nidan in Tomeki Aikido as well as his Sandan in Judo. In 1990 Sharp started teaching Judo classes at Shobu Aiki Dojo while continuing his study of Aikido. In 1991 he was promoted to Yondan in Judo through the United States Judo Association. In 1993 he started Sharp Judo and Jujitsu in his garage teaching Judo, Jujitsu and Aikido. In 1995 Sharp was promoted to Rokudan in Judo and Jujitsu while attending Camp Bushido in Colorado Springs, Colorado. He served on the USJA Jujitsu Committee and Jujitsu Promotion Board until 2004 when he resigned from both positions after serving 10 years on the Jujitsu Committee. In 2000 Sharp started putting his vast knowledge of Judo & Jujitsu on videotape. Since that time he has produced and marketed 6 martial arts videos covering self-defense techniques, Jujitsu throwing techniques and grappling techniques. Each series contains two videos. In 2001 the school was moved to a new commercial location where it remained for three years. Sharp then decided to move from that location and share a facility with a local Judo club. In 2005 Sensei Sharp was promoted to Shichidan in Ju-Jitsu and Traditional Kodokan Judo (TKJ) through the United States Ju-Jitsu Federation (USJJF) and the International Traditional Kodokan Judo Program of the Martial Arts International Federation (MAIF). 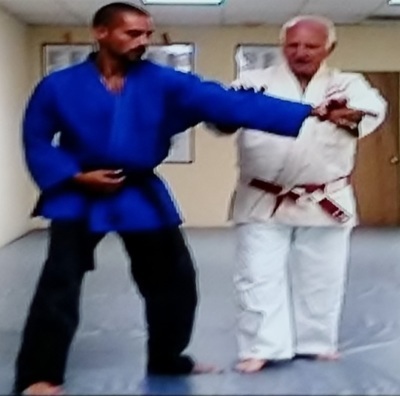  Produced and marketed a Martial Arts video tape series on Judo, Ju-Jitsu & self- defense.